The QSC K12.2 model is quite simply the next standard in powered loudspeakers. Each model is equipped with a 2000-watt amplifier module that combines with elegant design and advanced DSP to deliver pristine sound quality and smooth pattern control across the listening area. 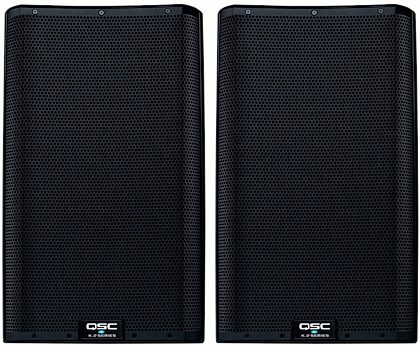 The QSC K12.2 Powered Loudspeaker represents the best-in-class loudspeaker for today's demanding audio professionals. The perfect combination of elegant design, superior audio performance, high functionality, simple and intuitive operation, and genuine QSC reliability, K.2 delivers extraordinary results for users in both portable and installed applications. - Monochrome LCD Display 1.75" x 1"
Overall: WOW! i love this speakers they are really loud and the mixer and dsp its really easy to use. STOP trying other speaker and go with this k2 you are not going to regret it. Overall: Best speakers I've ever owned. I feel like I've achieved 100% Full Pro Status in terms of sound quality. I am extremely impressed with these speakers. 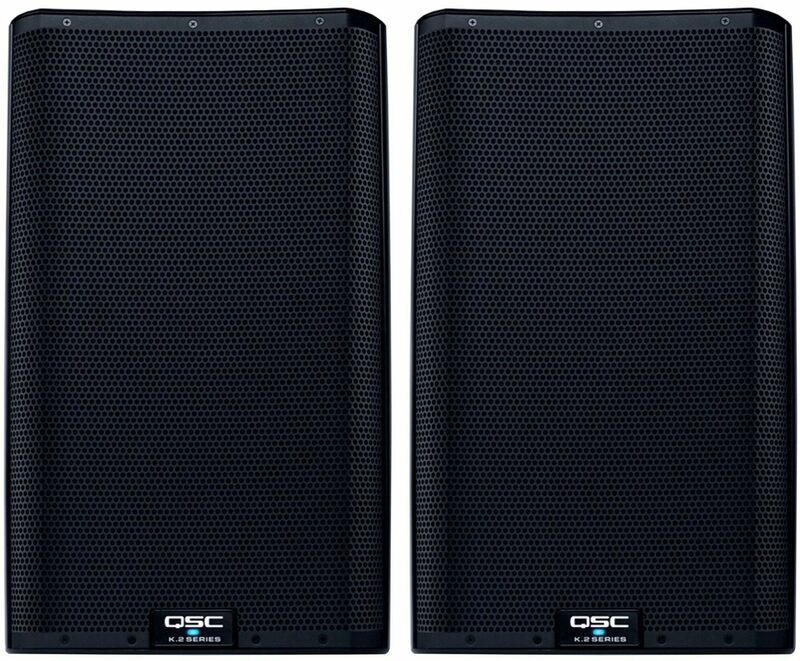 I've used various venues' QSC's for years at gigs, but I've only ever bought JBL's. Never again. These K12's truly sound great. I recently downsized to an extremely small dj controller - the Akai AMX and AFX. THis is a great portable controller, but the downside is that it's USB powered. With my JBL 515 XT's I couldn't get loud enough to maintain a dance floor. It was just too quiet. With the K12.2's I can play as loud as I need to and the sound stays crispy and clean. I highly recommend the QSC K12.2's.